Compliance Alerts: Effective October 1, 2018, the San Francisco Fair Chance Ordinance now applies to employers located or doing business in San Francisco with 5 or more employees located anywhere, and requires an updated posting. 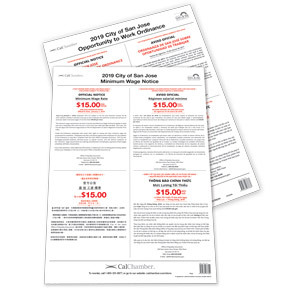 If you previously purchased the July 2018 San Francisco Labor Law 3-Poster Set (20+ Employees) from CalChamber, you are required to update and post your San Francisco Fair Chance Ordinance poster which you can order separately (PSFFCL) by calling Customer Service at (800) 331-8877. The San Francisco Labor Law Poster (PSFL) includes the new $15.00/hour minimum wage effective July 1, 2018, and requires an updated posting for all employers, regardless of where they are located, with employees who perform work in San Francisco. 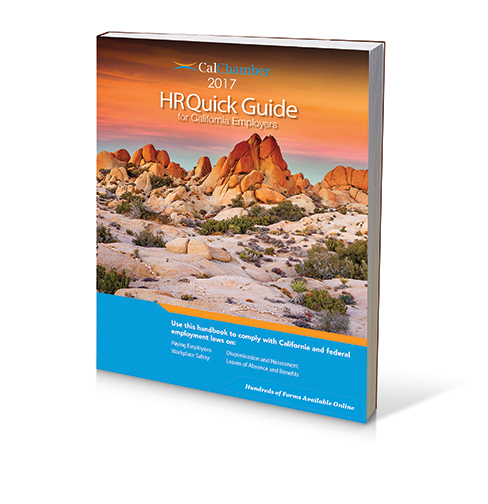 The poster also includes the new required Consideration of Salary History notice for all employers effective July 1, 2018. 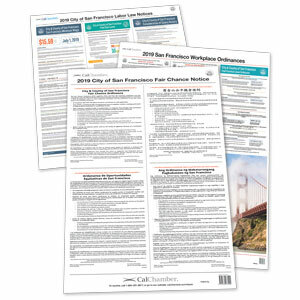 The San Francisco Labor Law 3-Poster Set (PSFLK) includes the updated Minimum Wage notice; and the new required Consideration of Salary History notice for all employers as of 7/1/18; the updated Fair Chance Ordinance notice effective 10/1/18, as well as rate increases to the Health Care Security Ordinance (HCSO) notice for January 1, 2019. 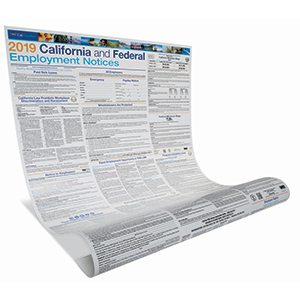 This single 26" x 26" poster contains official employment notices required by San Francisco's Minimum Wage, Paid Sick Leave, Discrimination Prohibition (Nondiscrimination), and Consideration of Salary History Ordinances. 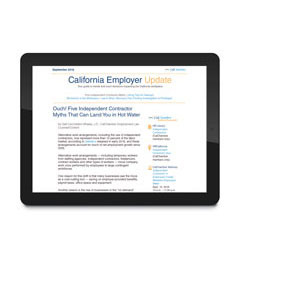 These notices apply to all employers with employees who perform work in San Francisco. Every employer must prominently display the poster in a conspicuous place at the workplace of job site where any employee works. Languages for Specific Notices: Employers must post the Minimum Wage Ordinance, Paid Sick Leave Ordinance, and Consideration of Salary History Ordinance notices in English, Spanish, Chinese and any other language spoken by at least five percent of the employees at the workplace or job site, even if not one of the City-identified languages. CalChamber’s poster reflects the official notices from the San Francisco Office of Labor Standards Enforcement, translated by the Office into these languages: English, Spanish, Chinese, Vietnamese, Russian and Tagalog (minimum wage notice); English, Spanish, Chinese and Tagalog (paid sick leave and salary history notices). The nondiscrimination notice is in English only. The first poster (26" x 26") in this set contains employment notices required by San Francisco's Minimum Wage, Paid Sick Leave, Discrimination Prohibition (Nondiscrimination) and Consideration of Salary History Ordinances; applicable to all employers with employees who perform work in San Francisco. The second poster (17.5" x 30.5") in this set contains San Francisco's Fair Chance Ordinance notice. This notice applies to employers located or doing business in San Francisco with 5 or more employees located anywhere. 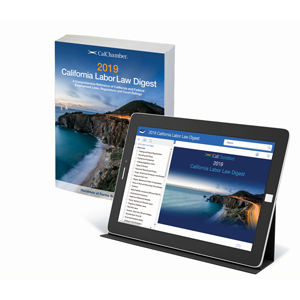 Covered employers must display these notices in a conspicuous place at every San Francisco workplace or job site where any employee works, or is frequently visited by employees or applicants—where they can easily see and read it. Employers must post the Fair Chance Ordinance notice in English, Spanish, Chinese and any language spoken by at least five percent of the employees at the workplace, job site or other location at which it is posted. CalChamber’s first poster in this set reflects the official notices from the San Francisco Office of Labor Standards Enforcement, translated by the Office into these languages: English, Spanish, Chinese, Vietnamese, Russian and Tagalog (minimum wage notice) and English, Spanish, Chinese and Tagalog (paid sick leave and salary history notices). The nondiscrimination notice is in English only. 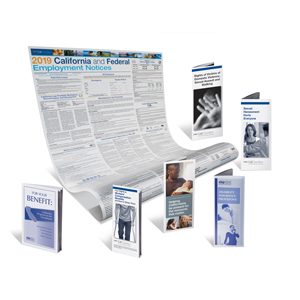 CalChamber’s second poster in the set reflects the official notices from the San Francisco Office of Labor Standards Enforcement, translated by the Office into these languages: English, Spanish, Chinese and Tagalog. 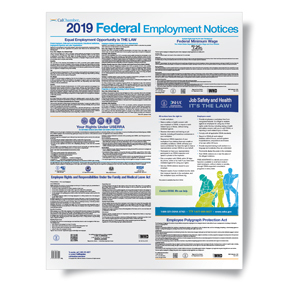 The third poster (32" x 26.5") in this set contains required notices in required languages for the Family Friendly Workplace, Health Care Security Ordinance (HCSO) and Paid Parental Leave Ordinances. These notices apply to employers with 20 or more employees, whether or not all of them are located in San Francisco. Employers must post the Family Friendly Workplace Ordinance notice in English, Spanish, Chinese and any language spoken by at least five percent of the employees at the workplace or job site. Employers must post the Health Care Security Ordinance notice in English, Spanish, Chinese and any language spoken by at least five percent of the Covered Employees at the workplace or job site. 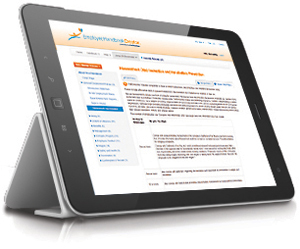 Employers must post the Paid Parental Leave Ordinance notice in English, Spanish, Chinese and any language spoken by at least five percent of the employees at the workplace or job site. CalChamber’s other two posters in the set reflect the official notices from the San Francisco Office of Labor Standards Enforcement, translated by the Office into these languages: English, Spanish, Chinese and Tagalog. Poster Protect® coverage is not available for city and county posters. CalChamber's laminated posters are recyclable.